A good friend and successful entrepreneur Sarah Prevette introduced me to an amazing by-necessity entrepreneur, Billy Price. Billy had a problem, he could put on all his clothes but not his shoes. He and his partner Darin Donaldson came up with a great solution, that would allow Billy, with limited mobility in his hands to put on his own shoes, birthing Billy Footwear. What I was attracted to was that the shoes both solved his problem but also would look good on anyone. He was getting ready to appear on an Oxygen network show that Sarah is a judge/mentor on called Quit Your Day Job. Sarah asked if Tether and I would meet with Billy to give him some branding and design help. I turned to two very talented Tetherites to join me in brainstorming, Matt Schmunk and Joseph Kohlhas, and of course we said yes. 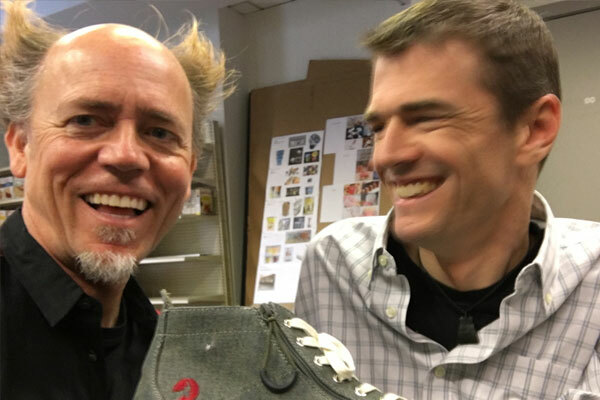 Billy and Darin made it through the show successfully and are now in the midst of raising money on a Kickstarter campaign to produce and share his cool shoes to the world. 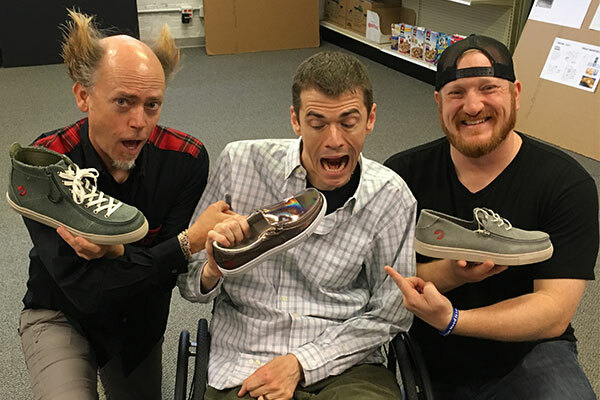 Would love for all fans of cool footwear to check out Billy and consider supporting his dream. I love Billy because he’s not only a dreamer, but a doer. I like the cut of his jib (I can say that because I’m sitting in Seattle at ocean level).